Deluxe Molded Splash Guards for the 1999-2004 WJ Jeep Grand Cherokee provide excellent lower body protection and accent the vehicle styling. Made of a composite of TPO plastic and TPR rubber to be rigid yet forgivable. They are molded to the contours of the vehicle for a custom fit and feature vehicle logo (depending on vehicle application). 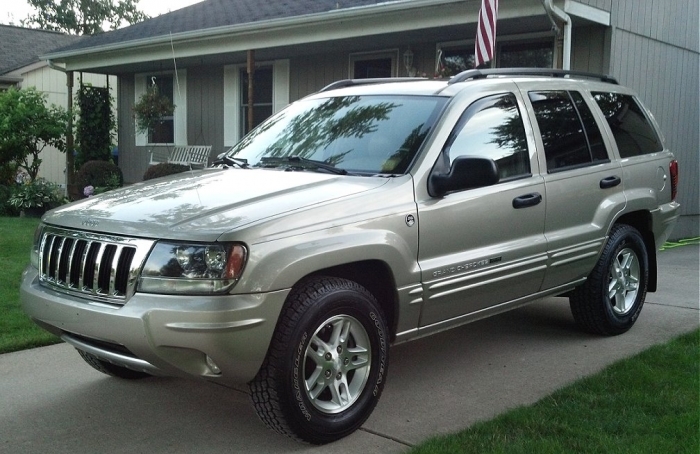 Dark Gray, front, Laredo without running boards or side steps. Driftwood, front, Laredo without running boards or side steps. Taupe, front, Laredo without running boards or side steps. Black, front, paintable, use only with Mopar Running Boards, Laredo and Limited. Great thanks! Now wish you had the fronts! Received product on a timely basis, recommend garage install due to minimal clearance betw tire and wheel well mounting area, gray color matches vehicle trim color perfectly! Installed fast as instructions states. Quality Splash Guards made tough yet flexible. The JEEP logo tops it off. ProsQuality product that installs fast. Material quality is Levels above the cheap pressed flat ones you find elsewhere.